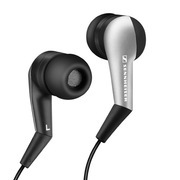 Sennheiser IE6 headphones equal quality for bass lovers! The isolation feature is extremely effective, as it allows users to hear the music in the ear phones without being disturbed by the environment, but at the same time, without disconnecting them completely. Its compatibility fits a wide range of devices that include a 3.5 mm / 1/8 inches plug. The dynamic driver of this device is poorly shaped and the product is not a first choice when it comes to its design either. Also, the Sennheiser IE6 is not effective enough for in ear monitors, especially when compared to its price. 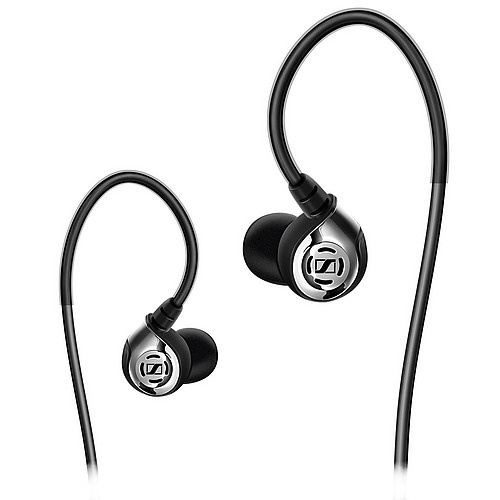 Part of a series of such products, next to Sennheiser IE 7 and IE 8, the Sennheiser IE 6 dynamic earphones comes with the quality the manufacturer used its customers with. A great device for rock and pop music listeners, this product is a true professional tool for those involved in the music industry. Choosing Sennheiser IE 6 is choosing professional levels! With its pluses and minuses, the Sennheiser IE 6 device makes good choice for those interested in using a professional product that is implemented with the latest technology. Its compatibility goes through the entire range of portable AV devices, from CD players and MP3 players to iPods and iPhones. It is also compatible with mane mobile phone models. One of the strong elements of this product is its durability and security: the product is known as being one of the most well built earphones. Also, similarly to Sennheiser IE7 and IE8, Sennheiser IE6 provides great bass quality. Also enhanced with dynamic transducers and an easily controllable volume, the earphones is optimum for everyone in need of high level technologies. These Klipsch S4i noise-canceling headphones are made and designed to work flawlessly with Apple I-pod, Apple I-phone and most other Apple electronics. Its 3 button wired remote control which is conveniently attached to the cord is the control center of these advanced headphones allowing for full control of Apples devices. They are pre-built with a very nice microphone which allows the user to take full control of their I-phone by enabling them to listen and chat with these headphones. The possibilities are endless, yet the user is given excellent award winning sound. There is not a whole lot to say in the way of bad things for these headphones. They deliver crisp clear audio, covering all range of sounds from your deep bass tones to your high pitched tones. If anything bad could be said about these headphones it would have to be the fact that they are in-ear style headphones which a small percentage of people do not like. It is also reported by some users that when moist, such as when working out, the controls malfunction a bit. While there is the fact that the controls sometimes malfunction in high moisture areas and they may be uncomfortable for some users, they deliver some of the highest quality sound that you can find at that price range. 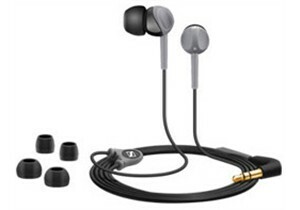 Therefore we give the Klipsch S4i headphone set 4.5 stars. 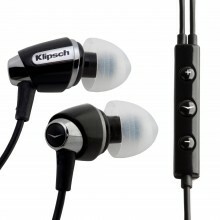 These high quality Klipsch headphones are among the pinnacle of high quality headphones in this price range. You simply will not find a better set of headphones at the price they are sold, and maybe not even find headphones of the same caliber for more money. The Klipsch S4i headphones are that good. It cannot be denied once you have tried them for yourself. Whether for outstanding audio performance–or the easy ability for talking on the phone hands free; Klipsch S4i delivers every step of the way. The V-MODA Vibe in-ear headphones are very stylish and bass potent. They're very easy to insert and remove, they're lightweight, aesthetically appealing, priced fairly, and very durable. The bass may be overwhelming for some. Also, these earphones may not fit perfectly into your ears as custom-shaped earphones are known to do. The V-MODA Vibes are fashionable and bass friendly in-ear headphones with great sound. They're simple to use and comfortable to wear due to their light weight. For the quality, they're reasonably priced and sure to last. However, the bass may be too much for some and they're not guaranteed to fit perfectly into your ears. Fashion, Great Style and Fair Pricing? You want high quality and style on the move, without having to listen to fuzz through what are far from comfortable headphones, right? Well then, enter the family of V-MODA Vibe earbuds. They've got a sleek, stylish set of earbuds for you that come in four intense colors: Flashblack Chrome, Gunmetal Black, LaMocha, and RedRoxxx. From the input mini jack and stereo cable divider to the earphones, the V-MODA Vibes scream style. Once my review package arrived and I opened it up, I was all smiles. I received the Gunmetal Black Vibes and I couldn't take my eyes off them. It was love at first sight. They were beautiful. I had absolutely no trouble placing the earbuds comfortably into my ears. Finding the perfect fit was quite easy and natural. Once in my ears, I instantly felt a lightness and almost couldn't notice I had anything in my ears. The silicon coverings are very soft and comfortable. Moreover, the Vibes come with various silicon ear fittings so you can pick and choose the size that best fit your ears. When I began listening to my music, I immediately noticed that these earbuds were meant for bass lovers. If you like punchy, tight and deep bass, then look no further. It's really quite impressive that you won't have to push the earbuds completely into your ears to get good bass. I was pretty amazed by that. With most earbuds, I normally have to make all the effort to get the "right" bass, but I experienced no problems with the Vibes whatsoever. Moreover, my music came through warm and highs were open and crisp. At $100, I strongly suggest you give the V-MODA Vibes a try. These well-crafted, stylish earbuds will withdraw you from the outside world and pull you into your beautifully-sounding music. These earphones are aimed at delivering good sound quality. 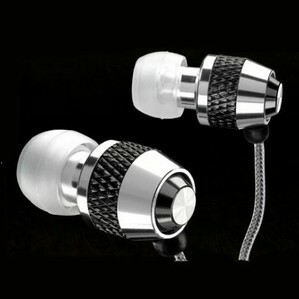 The price of the earphones is quite low when compared to other earphones which provide the same level of quality. Treble and mid ranges on this earphone are quite good and pleasing to listen to. Despite being provided along with interchangeable earpieces, these earphones can be an uncomfortable fit. The bass on these earphones is a bit on the low side. These earphones provide great sound quality while being quite affordable for most users. The in-ear design of the earphones ensures a good level of noise-cancellation which can be achieved without the use of annoying batteries or power switches. You are also provided with a set of interchangeable gel tips for the earpieces of the earphone from which you can choose one based on the size of your ear canal. The Sennheiser CX 200 is a great new earphone set that can be used along with your mp3 player, portable CD player, portable radio or practically any device which has a 3.5mm audio jack into which you can plug the earphones into. The Sennheiser CX 200 comes in both black and silver, and you can choose one of the two colors based on your taste. It is also provided with a range of different sized rubber gel tips for the earpieces, one of which you can choose for your ears based on the size of your ear canal. The treble and mid ranges of the audio provided by the Sennheiser CX 200 are quite good. 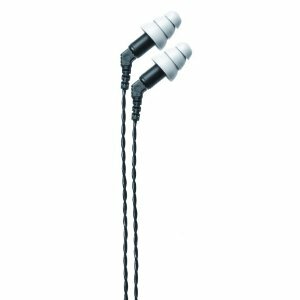 In fact, it is possible to say that these ranges are as good in the Sennheiser CX 200 as they are in any high-end earphone set which would cost a lot more. However, the bass is a bit low in these earphones, which should be barely noticeable for average users. More discerning users will notice the difference. Thanks to its in-ear design, the Sennheiser CX 200 comes pre-loaded with noise-cancellation. This means that you can wear the Sennheiser CX 200 on the road, at a construction site, at the office or even while traveling by train and not completely lose your music to external noise. This is a great feature because you don't have to put on a switch or use batteries to activate it. Simply insert the earpieces into your ears and you're good to go. Although it may have some shortcomings, the Sennheiser CX 200 is a great choice of earphone to be used by anyone who wants to experience great sound quality after paying a relatively low price. These earphones provide high-end sound quality at a low end price. You can select from a range of earpiece gel tips for the perfect fit. The in-ear nature of the earphones ensures that you get the best possible noise-cancellation. These earphones can be a bit uncomfortable to wear for long periods. If the cable rubs against something, you will hear that as well. The Sennheiser CX 550 is a great choice of earphone when it comes to getting great quality at an affordable price. These in-ear type earphones provde sound quality similar to much more expensive earphone models. They are also easy to use thanks to their compact nature. The Sennheiser CX 550 earphone is a great earphone set for the discerning user who wants to get the best sound quality possible out of his or her earphones. Designed as earphones for MP3 players, the Sennheiser CX 550 can be used along with any other audio device as well, thanks to its compatibility with the standard 3.5mm audio jack. The Sennheiser CX 550 is sleekly designed using a hybrid metal composite that ensures sturdiness and durability for the earphones. 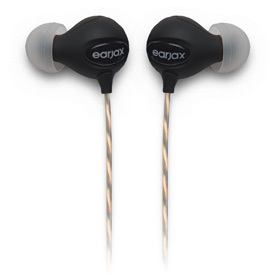 The earphones come with a range of earpiece gel-tips which can be chosen according to varying ear sizes. This affords a comfortable fit for different users no matter what the size of their ears. The greatest thing about the Sennheiser CX 550 is its great sound quality. Sound is delivered throughout the different ranges in a crisp and clear manner, and you will never believe that you obtained this brilliant device for the low price of only $80. Thanks to the in-ear nature of the Sennheiser CX 550, you get the added bonus of having a measure of noise-cancellation thrown in too. If you're an ardent audio quality connoisseur with a budget limit as well, the Sennheiser CX 550 is the ideal choice of earphone for you. Ultra-lightweight earphone with a great sound at a reasonable rate. Earjax also donates a portion of each sale to help children with hearing disabilities. Sleek design along with a compact style makes Moxy earphones one of the most sought after earphones in the market. The reasonable price of the earphones makes it even more desirable. Soft silicon ear buds are extremely comfortable. These ear phones works with all kinds of iPods, portable DVD, Laptop, PSP, CD as well as MP3 player. Still trying to find something bad to say about the product. That should say it all. The moxy earphones are designed with anodized aluminum encasement which is scientifically positioned for a perfect fit and great sound quality. Convenient cable wraps are also provided along with zipped case. High definition mini-speaker in addition to gold-plated mini plug along with it makes the earphone even more coveted. – Check the Earjax website here for more information on this product. Moxy earphones have a compact size and great sound quality. 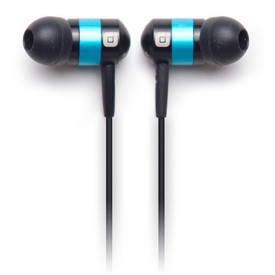 The sleek design makes the earphones extremely attractive and attention-grabbing. Soft silicon ear makes the earphones very comfortable. The earphones have extra tips. This is a device which is gold-plated 3.5 mm audio jack for a no-loss sound connection to the audio system. 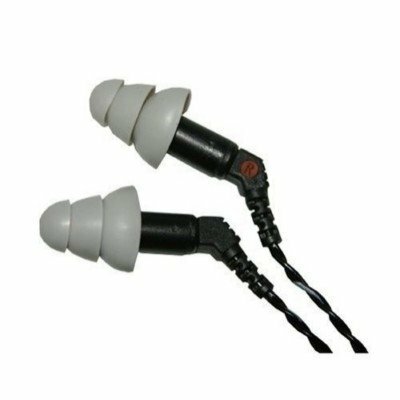 Some users have stated that silicon ear bud makes provides them a comfort. This implies that when the device is used, it sticks to the ears firmly. The sleek design entices many consumers who get drawn towards this handy and stylish design. The device includes black zippered hard case. Bonus earjax decals and convenient cable wraps include the accessories which makes it exclusive. The frequency response of moxy earphone is 20 Hz – 25 hz. The magnet type used is Neodymium. With a power handling capacity of around 3 mw and woven cloth braid of cable type, this device seem promising. The customers are in love with its impedance of 16 ohm and the in-ear design of the earphones which makes this gadget extremely user-friendly. Buying a moxy earphone would prove to be highly advantageous to you because you can use this device with mp3 player, portable DVD, ipod, laptop, MD as well as PSP. The device is extremely handy and hence moving around with the earphone will not pose any problem for you. The cable length of 49 inches allows the consumers to comfortably listen to music without worrying about the cable getting stuck anywhere. Moxy has two different versions. One with a mic and one with out. We reviewed the one with out the mic. I can not tell you if the mic works on any phones. Check Out the the Earjax Website Here. For every earphone sold Earjax donates a part of the proceeds to helping children with hearing disabilities. Everything. It's rare I run into a headphone or earphone set that I just really like. These are the ones I will be using for a while for personal use. Comes with zippered hard case, 36" extension cable, small medium and large transparent tips as well as another set that is black. I should also mention the life time warranty. None that I can find so far. This is the earphone set I have personally been using since I first got my hands on them. With great sound quality, compact carrying case, 3 ft extension cable and the comfortable ear tips, this is an item that everyone will love. While the end price is high compared to many main stream brands, it's worth every penny. When you first get the Earjax Lyrics earphones you will notice they are in a nice well packaged box that presents the earphones in a superior way over other earphones. A nice box does not always mean a sweet earphone set is inside but in this case you get exactly what you are expecting. We already covered all the items you get with these in ear headphones. However we should mention that they are really comfortable in ear pieces and even after a few hours of listening they have not hurt my sensative ears. My ears hurt even with slight gusts of winds and in cold weather. It's rare that I find a in ear headphone like the Earjax Lyrics that don't hurt my ears after a prolonged period of time. Your audio time with Lyrics will be a pleasurable time. Many in-ear headphones leak sound and disturb those around you. The Lyrics does not. Even held a foot away from me with high volume I can barley hear them make a sound. When placed in ones ears you will not be disturbing the person next to you. This is great for those who listen to mp3 players in bed or on transportation systems. With Christmas 2010 around the corner this item is going to be our top pick and must have product for anyone looking at getting in ear headphones.